Jenny Packham Eden gown for a vintage country wedding in a barn with mis-match pastel Bridesmaid dresses from the high street and meadow handpicked bouquets. 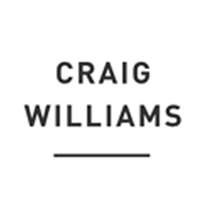 Image by Craig Williams Photography - Jenny Packham Eden gown for a vintage country wedding in a barn with mis-match pastel Bridesmaid dresses from the high street and meadow handpicked bouquets. Natasha The Bride: Unlike many women, I had never really thought about my wedding dress until I got engaged. I have never been a girly type and knew that I would not feel comfortable in anything that felt like a ball-gown. We went to a few wedding shows and I was initially overwhelmed by the thousands of dresses out there and also disheartened by how they all seemed to looked the same to me. I realised that I would know which dress was right for me as soon as I saw it. Being a huge fan of vintage clothing, I had that eureka moment as soon as I discovered Jenny Packham’s bridal range. I loved the chintzy vintage glamour of Jenny Packham’s Eden dress in platinum and I was completely sold as soon as I saw it. It felt so special! 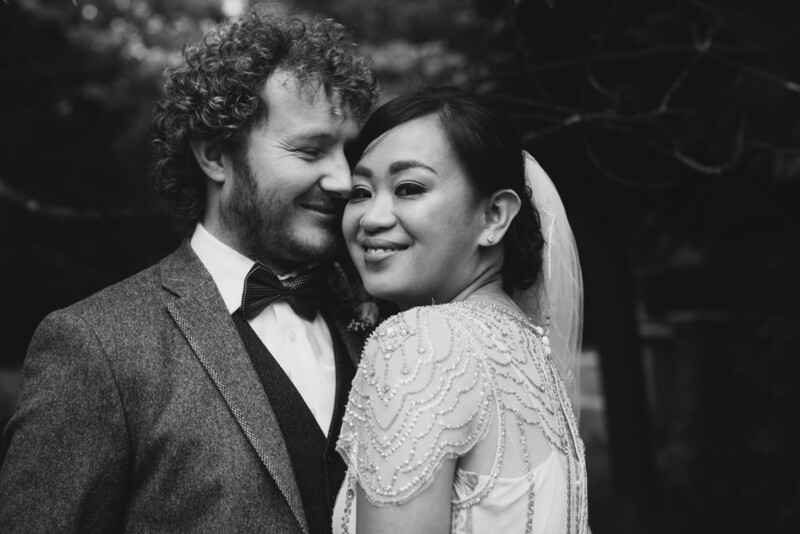 Whilst Eden doesn’t look traditionally bridal, as we were getting married in a beautiful old church, I still wanted to incorporate some traditional elements into my outfit, namely a veil. 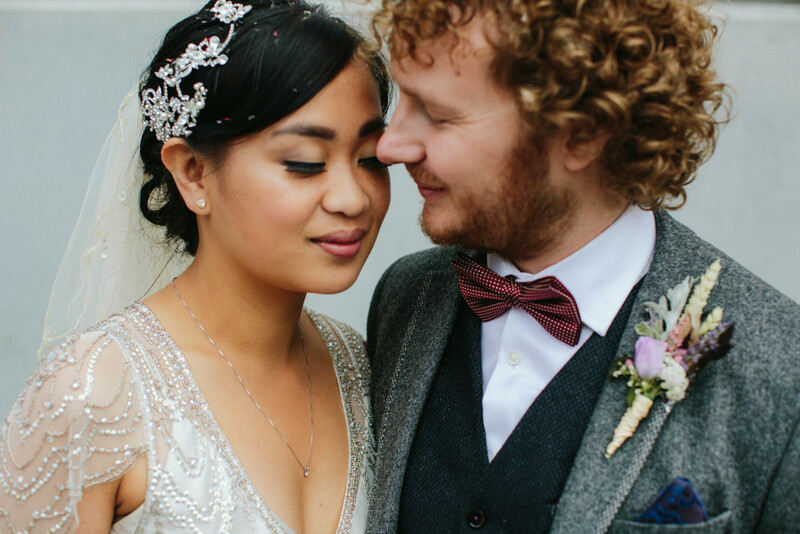 It was quite difficult to find a one which suited the platinum colour of the dress, but I was able to find a vintage veil online which had just the right amount of sequins and embellishment and almost matched the colour of my dress perfectly. It was a complete steal at under £20 which helped to offset the cost of the dress. Matthew The Groom: I had tried on several suits of various colours, cuts and fabrics over the course of a weekend and began to feel worried I wouldn’t find the right suit without having to go to a tailor and having a bespoke one made. Ted Baker was one of the last places I visited and I liked the classic English country look of the different styles of tweed on offer. I also loved the quality and the finer details of the contrasting stitching, the contrasting buttons and the luxurious patterns of the lining. I liked how I could mix and match the colours of the tweeds and in the end, along with the help of one of their personal stylists, I chose a grey tweed suit and a navy tweed waistcoat. I found a burgundy bow tie in Hawes & Curtis, some really stylish rose gold and silver Union Jack cufflinks from Charles Tyrwhitt and lastly a pair of classic Oxford shoes in dark brown from Jones Bootmaker. I finished off my outfit with my new Tag Heuer which Natasha gave to me as a wedding present – dutifully delivered by her Maid of Honour on the morning of the wedding! 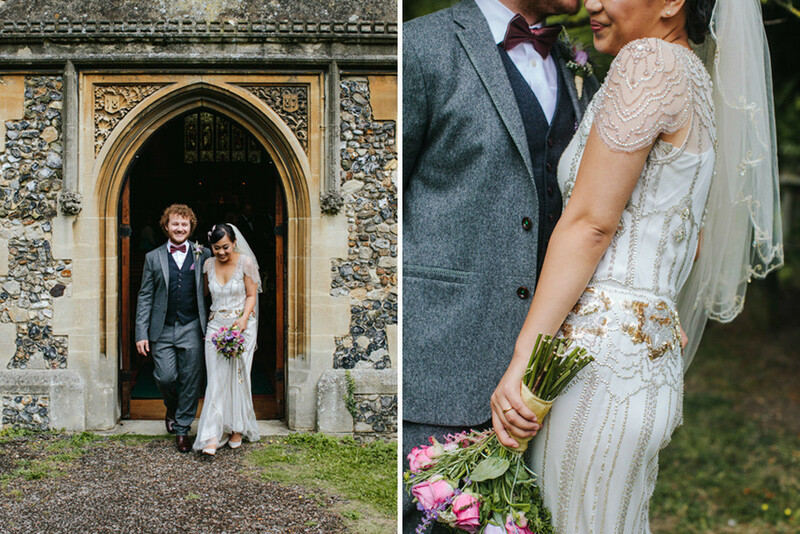 Natasha The Bride: We got married in St Mary’s Church in Chigwell – a beautiful old church in leafy Epping Forest. We were so lucky to find a church that had so much history yet did not feel too grand and whose congregation and Vicar were so friendly and welcoming. I have lived in London all of my life and Matthew was born and bred in a village on the West Sussex coast. We kept saying to each other how amazing it would be to find a venue which had both a bustling city and a tranquil country or coastal feel but knew that was a hard ask! We both loved the idea of having our reception in a barn venue and decided that a barn setting would lend to the rural aspect and we could later find a way to incorporate an urban feel. By chance, Matthew stumbled across High House Barns – an old Essex farmstead within the urban and industrial setting of Purfleet. It was exactly what we wanted but thought we would never find!! We loved the quirkiness and the element of surprise that when the guests arrive, the beautiful barns in its lush green setting would appear out of the midst of all of the industrial buildings. 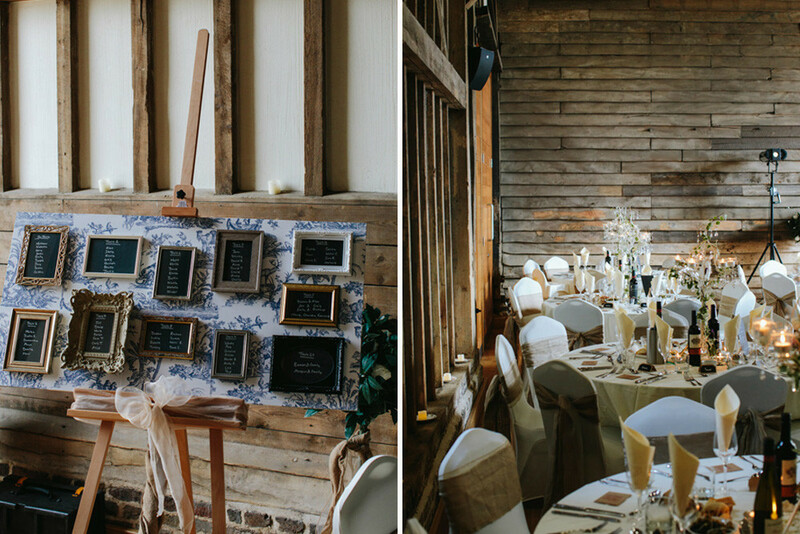 We decided on a colour palette of pastels and a general theme around the keywords ‘understated, classic, vintage, British, and countryside.’ The barns were beautiful in their own right so we did not want to over-decorate other than ensuring the table settings felt classic and elegant. The dining chairs simply dressed with ivory covers and hessian and ivory lace tie backs. With the barns having high ceilings, we decided on having as much candles and candlelight as possible to make the atmosphere feel cosy and intimate so we chose candelabra for our centrepieces and dressed them with fresh ivy, flowers and strings of pearls. We brought in a few bay trees to bring in some greenery and height. We also collected some vintage saucers of different designs from various charity shops and boot sales, placed LED tea lights on them and scattered them around the barns. The top table was set up in front of a tall beautiful exposed old brick wall. I wanted to add some subtle décor to this brick wall and played around with the idea fairy lights or bunting. Our wedding coordinator had also told us that we could pull down the projector screens and project a slideshow of old photos of us, for example. At the mention of a projector, I looked into potential ways we could use it and discovered the idea of writing our names in light on the wall. I used Photoshop and played around with a few different fonts and once we had a design we were happy with, we had a gobo globe made which would attach to the projector and filter the light to create the design. It was the perfect way to decorate the wall without detracting from it and I thought it added a touch of elegance. Our guests had informed us of their menu choices when they sent us their RSVPs months in advance, but we decided it would be nice to remind them of what they would be having. We created mini blackboards displaying the menu using black card and chalk pens and we also found name place cards made of brown card and a blackboard style panel. It was really important to us to have personal touches like these. 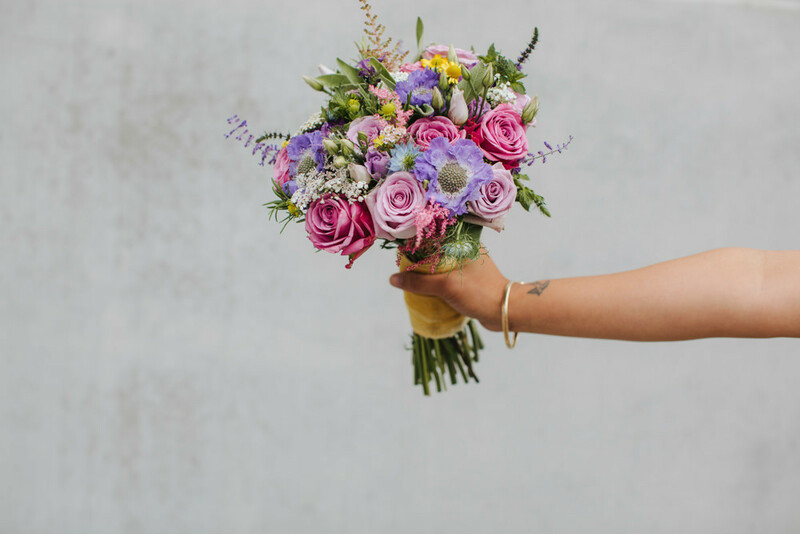 We wanted our floral arrangements to have a country and unstructured feel, almost like we had just picked the flowers ourselves from a meadow and loosely arranged them. I didn’t want one particular colour to stand out in mine and my Bridesmaid’s bouquets so went for a pastel palette. For Matthew’s and the Groomsmen’s button holes we asked our florist to construct them with wheat, lavender and gypsophila. I found a vintage feather brooch in a charity shop which was deconstructed by our florist to incorporate some of the feathers into Matthew’s buttonhole to distinguish him from the rest of them men and to enhance on the country gentleman look. At the church, our florist created some simple pew ends consisting of gysophila and lavender tied with brown string and lace ribbon which brought the countryside element into the church. The flower ladies at the Church also kindly created some floral displays inside the church and decorated the side entrance to the church which was such a lovely gesture! At the barns, we chose some elegant, antique style tea-light crystal candelabras for our centrepieces which were then draped with strings of pearls, and then intertwined with fresh ivy and gypsophila – a truly collective effort by our venue decorators and florist! The ivy and pearl combination was then used to decorate our top table, along with a selection of white flowers. On the tables where our Bridesmaids sat, we set up some jugs with water where they could put their bouquets. We decided from the beginning that we didn’t want a theme colour but rather a loose theme of understated, classic, vintage, British, and countryside. I also didn’t want to force my Bridesmaids to wear a colour or a dress that they didn’t feel comfortable in. I let my Bridesmaids choose their own dresses with only 3 rules: the dress being a pastel colour, the dress being a colour which another girl hadn’t chosen and the dress being below the knees. It meant that we could find something from the High Street and that hopefully it would be something they could wear again. It also meant that I could go Bridesmaid shopping with each of the girls and spend some quality one on one time which was really nice! Our flower girl was Samantha, my God Daughter and I decided we would shop for her dress last as there seemed to be much more of a choice of pastel colours for little girls. We went to Monsoon and tried on most of the dresses on the rails and she looked adorable in all of them. She was so excited when she finally decided on a yellow dress explaining that it was like Belle’s from Beauty and the Beast! For the Groomsmen, we let the guys wear their own suits and gave them matching bow ties and braces to tie them together as a group. We found some great thin knit navy bow ties and navy and burgundy argyle braces from Marks and Spencer. I thought they looked stylish, whilst understated. We also wanted our Dads’ outfits to match so as to stand out to our friends and family. Our Dad’s had both bought new grey suits and so we found some burgundy jacquard ties and matching pocket squares from Moss Bros to complete their outfit. When we booked our High House Barns for our reception, our wedding coordinator Vicky asked us if we were going to have a toastmaster and gave us the details for the venue’s recommended Toastmaster, Mike Darling. Neither of us were familiar with the duties of a Toastmaster at a wedding but when we met Mike at the open day at High House Barns, we were immediately impressed by his presence – indeed he stood proud in his red Toastmaster coat. Mike certainly added an element of tradition and grandeur to our wedding as he introduced our entrance to the wedding breakfast, introduced all of the speeches and along with our wedding coordinator Vicky, effortlessly ensured everything ran as smoothly as possible. Whilst Matthew’s speech was lovely and his Best Man and Brother Joe’s speech was suitably fantastic, my Dad’s speech has become somewhat legendary amongst our friends and family who were lucky enough to witness it. It is almost my only regret that we did not choose to hire a videographer who would have captured footage of my Dad having to dangerously juggle the effects of the copious amounts of alcohol he had consumed whilst delivering his Father-of-the-Bride speech. Much of the actual words used have now already slipped our memories but it was simply a case of how it was said rather than what words were used that made it so memorable. I will always salute him for it! At the last minute, my Mum told me that she would also like to do a speech. It was lovely and emotional and I was so proud of her for getting up in front of everybody that I decided that rather than doing the traditional tossing of the bouquet, I preferred to give my bouquet to my Mum at the end of her speech. It was an opportunity for me to thank her for being my Mum and it was such a special moment. My Mum organised for a piano player to come to the barns and play a mixture of jazz and classical upon the guests arrival to the reception venue, during reception drinks and during the wedding breakfast. It was initially something I said no to on the basis of it being an unnecessary luxury but luckily my Mum insisted as it provided a lovely ambience whilst the guests were mingling with a cocktail in hand! It was also lovely hearing the beautiful piano music in the background of our guests laughter in the foreground during the wedding breakfast. In the evening we opted for a DJ. We are both such foodies and knew how, often, the food is what guests remember from a wedding. It went without saying that the food we wanted to serve at the wedding breakfast had to be excellent – a balance between gourmet and homely and without compromise, had to taste as good as it looks and looks as good as it tastes. With my parents from Mauritius and Philippines and with Matthew’s family being English, we had to cater for quite a multicultural crowd. We wanted to make sure that there was something for everyone and so we decided on a 3 course meal with 3 options to choose from. We chose the 3 options for each course based on what our favourite things are to eat across both Asian and British cuisines. We thought it was a nice problem to have when our guests told us that they couldn’t decide what to have for each course and our caterer did a phenomenal job in delivering what was promised. Many of our guests complimented the food whether they had the roast lamb, the fish and chips or the thai curry for their mains and the chocolate cake, cheesecake or eton mess for dessert. Being one of the first things to organise and which sets the initial tone of the wedding to our guests, creating the invitations was a real design process. I wanted our invitations to give a real flavour as to what to expect from our wedding, despite at the time of designing them and sending them out, much of the planning was yet to have been completed. However, our loose theme of understated, classic, vintage, British, and countryside was immediately decided upon as it very much reflects our style and personalities. We used an online stationery company who had a lovely vintage and shabby chic style template, printed on aged card with each card decorated with a floral design in different pastel colours. We created 2 different customised invitation bundles for the day guests and for the evening guests. The invitations consisted of several parts for the church and venue details, the wedding breakfast menu and other extra details and we tied the cards together with a piece of brown string and sent them out in very classic looking brown ribbed envelopes. It was quite a meticulous process but so worth it as we received many compliments from our friends and family on the design and the detail and it definitely created a buzz of excitement for everyone. We struggled to decide on what to give our guests as favours as ideally we wanted to give something that both represented us and meant something to each guest. One day I was talking to a friend about what my new married name would be and I mentioned ‘it rhymes with scratchcard!’. So we decided we would place a scratchcard and a lucky sixpence in a small brown envelope and enclose a note to explain: “A scratchcard from Mr & Mrs Hatchard – we hope the sixpence works in your favour. Thank you for sharing today with us, you’re our best friends, if not greater!”. We knew our friends and family would appreciate the humour and the personal touch!! I saw a fantastic idea of creating the seating plan using a selection of photo frames, mounted on a board. In the months and weeks before the wedding, we were on the constant search for photo frames in charity shops and boot sales and we eventually collected 12 individual and unique photo frames. We then bought a large piece of MDF from B&Q and found some lovely wallpaper on eBay of traditional English scenes printed in blue on white background. We were able to save a few pennies as we only needed to buy a sample of the wallpaper and it was enough to cover the MDF board. As with our menus on the tables, we then used some black card and a white chalk pen to write our table numbers and the guest names for each frame. It was a bit of a DIY project for Matthew to make the wallpaper stick to the MDF and then mount the frames but it was a great focal point when the guests entered the barns. During one of our chats with the Vicar in the months before, she gave us the idea of giving each other a letter on the morning of the wedding. With all the panic and nerves while getting ready, it was such a lovely way to take a moment to remind ourselves of how much we love each other and what our marriage meant to each other. Each decision we made during the planning was a joint one and we were meticulous with every detail. I was so lucky that Matthew was fully on board and a totally hands on Groom. I don’t believe that a wedding is the Bride’s day but rather it should be a reflection of the couple. My advice to other Brides is to always follow your heart with every decision and always make sure your Groom is also fully involved. If your Groom would prefer to take a back seat when it comes to planning the finer details, make sure you make decisions which he would be comfortable with. As a Bride, you always worry that something will go wrong or it won’t be how you expected it to be. We had only one or two very minor hiccups on the day but to us, it was perfect. Jealous!! Can’t wait just under 7 months till I marry at that venue. Kinda few things alike too. Kinda!! Congratulations to Natasha & Matthew and all the best to them in the future. Lovely wedding and some amazing photos. Everyone looked great and looked like they had an amazing time. Gorgeous colours and wedding ??? ?